Rueda is Spain’s most famous white wine zone. It’s located in the northern central part of the country’s largest autonomía, or state: Castilla y León. Much of Castilla y León lies on the Meseta Central plateau. It’s known as the Land of Castles because it boasts 300 medieval castles dating to the eighth and ninth centuries. The Duero River runs along the northern part of the Rueda region, flowing westward from the east toward the Atlantic Ocean. Most of Rueda’s vineyards are located south of the river; they extend all the way to the province of Segovia. The area’s dry climate, dramatic diurnal shifts, and rocky soils create ideal conditions for Rueda’s prized grape—Verdejo. This native variety has been cultivated in Rueda since the 11th century. It yielded commercially successful wines until phylloxera devastated the region in the late 19th century. 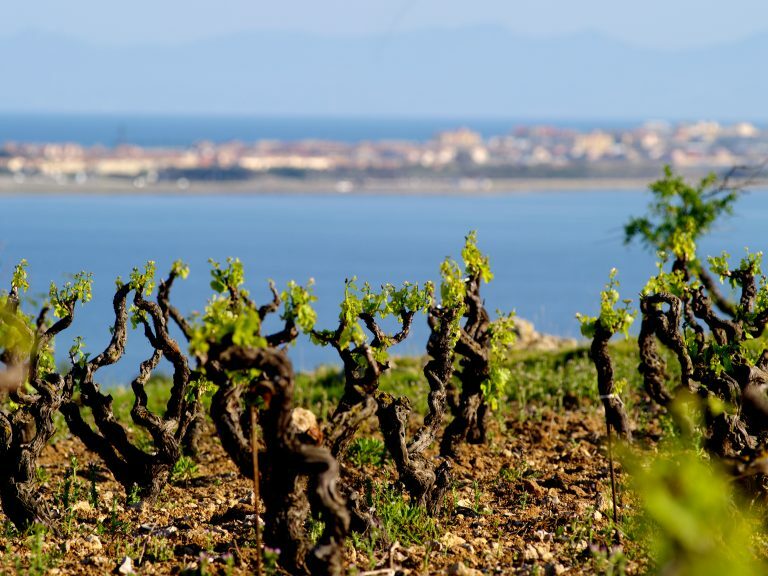 After the phylloxera blight, Rueda was largely replanted with Palomino Fino grapes for bulk fortified wines until the 1970s, when Verdejo was revived and once again became the region’s star grape. In 1980, Rueda received Denominación de Origen (DO) status for its white wines. Production focus remains on the region’s dry aromatic whites, which are predominantly made from Verdejo. Very little fortified wine is produced in Rueda today. Red wines were added to the DO in 2008, but they represent only a small percentage of production. There are 13,500 hectares under vine in Rueda. Approximately 1,500 growers provide grapes to 67 wineries. A number of large winery groups have moved into the region, but Rueda is a wine zone that mostly comprises small family farms. While organic viticulture is becoming increasingly popular throughout the wine world, most growers in Rueda have always farmed organically. The favorable soil and climatic conditions encourage sustainable agricultural practices. Rueda’s vineyards are located in the flat highlands, approximately 600 to 800 meters above sea level. Of the 13,500 hectares that make up the total vineyard area, 13,000 are planted with white wine varieties. Approximately 11,300 hectares are devoted to Verdejo. Fewer than 500 hectares are planted with red varieties. Dark gray and brown alluvial soils rich in lime are found in the Duero River depression in the region’s north. Farther south, the soils become browner and sandier, with a mix of pebbles and rocks. 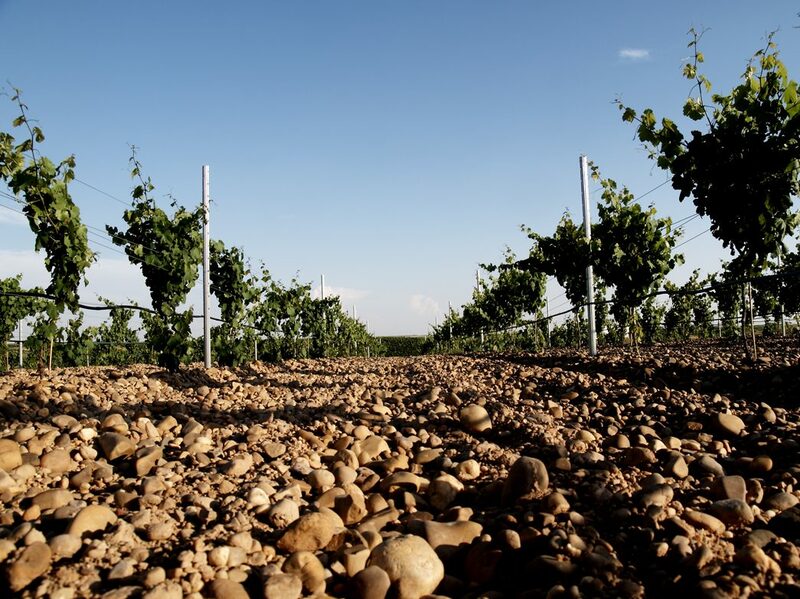 Rueda’s stony soils are lacking in most nutrients but are rich in minerals, such as iron, calcium, and magnesium. Atlantic winds regularly blow across the plateau. Good ventilation and drainage help make the poor-quality gravel soils easy to farm without the use of herbicides or fungicides. Rueda has a continental climate. To some extent, it is moderated by maritime influences resulting from its proximity to the Mediterranean Sea and the Atlantic Ocean. The area gets a lot of sun and minimal rainfall; it’s subject to long, cold winters, short springs, and dry and extremely hot summers, with some rainfall in autumn. The region is at risk for late spring frosts. Hail, high winds, and freezing fog can also threaten crops. Rueda experiences dramatic temperature shifts of up to 50 degrees in a day. These fluctuations help concentrate flavors and balance sugar and acidity in the grapes. Rather than harvesting during intense daytime heat, Rueda’s grapes are harvested by machine at night when temperatures are low. This process prevents the sun from oxidizing the must and preserves the aromatics and flavor compounds of the fruit. Wine production by local settlers and monastic orders flourished in Rueda as early as the 11th century, under the reign of King Alfonso VI. Verdejo wines were commercially successful until the grapes were nearly wiped out by phylloxera in 1890. When the region recovered, the focus shifted to bulk wines. The Verdejo vines were replaced with Palomino Fino, a high-yielding grape that was used as a base for solera-aged fortified Palido and Dorado wines. It wasn’t until the 1970s that quality over quantity was sought, and Verdejo began to thrive once again. Recognizing Rueda’s potential for quality white wines, Bodegas Marqués de Riscal—a producer known for its Rioja reds—expanded operations to the region in the early 1970s with the goal of creating fresh, vibrant white wines whose quality could be compared with its red wines from Rioja. With the help of professor Émile Peynaud from Bordeaux, Marqués de Riscal winemaker Francisco Hurtado de Amézaga became a pioneer in Rueda, incentivizing growers to maintain their Verdejo vineyards rather than giving way to more productive varieties or turning them over to other crops entirely. The exceptional white wines made by Marqués de Riscal at that time were a catalyst for Verdejo’s revival in the region. The producer also jump-started the cultivation of Sauvignon Blanc, which now occupies approximately 6 percent of Rueda’s vineyards. Overall, 96 percent of Rueda’s vineyards are planted with white varieties and 87 percent of those grow Verdejo. A minimal number of red wines and rosés are also produced. The demand for Rueda’s fresh Verdejos has surpassed the market for the fortified wines of yesteryear, although a few producers still release limited quantities of these unique wines. Some winemakers are also trying their hand at producing sparkling Verdejo using the methode traditionelle. The DO of Rueda was established in 1980. Initially, the designation covered only white wines. Reds and rosés were added to the regulations in 2008. There are no regional sub-appellations in Rueda, though different areas within the appellation yield a variety of qualities and styles. The Consejo Regulador is the governmental council that monitors and regulates Spain’s DOs. It requires winemakers of the Rueda DO to post a seal of identity, known as a back label, on wine bottles, indicating the origin of the grapes, the vintage, and other information. Rueda’s internationally acclaimed wines are almost exclusively made from white varieties, and the majority of them are 100 percent Verdejo. The region also produces a small number of red and rosé wines. For the past five years, Rueda has produced approximately 674,000 hectoliters of wine on average. Additionally, the average yields of Rueda white wines for the past five years were 54 hectoliters per hectare, as compared with Bordeaux AOC white, which is limited to 65 hectoliters per hectare, and Burgundy’s Corton-Charlemagne white Grand Cru AOC, which is limited to 58 hectoliters per hectare. A minimum of 50 percent Verdejo is required. This wine may be blended with Sauvignon Blanc or Viura to add a floral character and create a lighter-bodied wine than Rueda Verdejo. A minimum of 85 percent Verdejo is required, though most are 100 percent Verdejo. This medium- to full-bodied wine tends to be elegant, aromatic, and fruity, with good potential for aging. This sparkling wine is made by the methode traditionelle and must be aged for at least nine months on the lees in the bottle. A minimum of 50 percent Verdejo is required for seco or semi-seco, and a minimum of 85 percent Verdejo is required for Brut or Brut Nature. This French variety has been cultivated in Rueda since its introduction by Marqués de Riscal in the 1970s. To be labeled Rueda Sauvignon, the wine must contain a minimum of 85 percent Sauvignon Blanc. 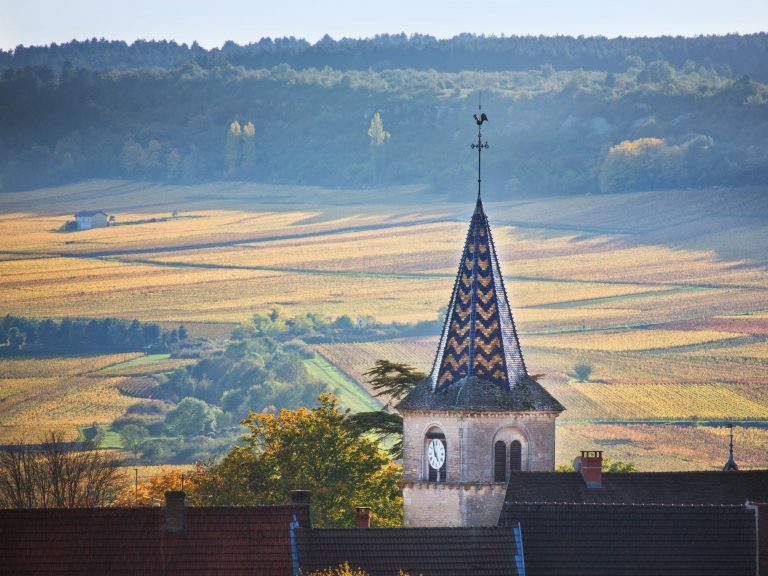 This highly aromatic French grape is a midripening variety that favors cooler climates. In Rueda, it yields tropical fruit notes and exhibits good minerality. In blends, Sauvignon Blanc lends Verdejo additional fruity and floral elements. Also known as Macabeo, this thick-skinned variety buds and ripens late. It has been cultivated in Rueda since the 1950s, but it’s indigenous to Penedès in Catalonia. Viura is northern Spain’s most widely planted white variety. When blended with Verdejo, it lightens the body of the wine and boosts acidity. Named after one of King Alfonso X’s knights, this variety has been cultivated in Rueda since the 1930s. It has a thick skin and buds midseason but ripens late. Its acidity drops significantly as it ages. Palomino Fino was historically used in Rueda to create fortified wines; new plantings in the region are now forbidden. Red grapes that fall within the Rueda DO include Tempranillo, Cabernet Sauvignon, Merlot, and Garnacha. Rueda’s still and sparkling rosado, or rosé, wines must contain a minimum of 50 percent of these authorized red varieties. What’s Happening in Rueda Today? 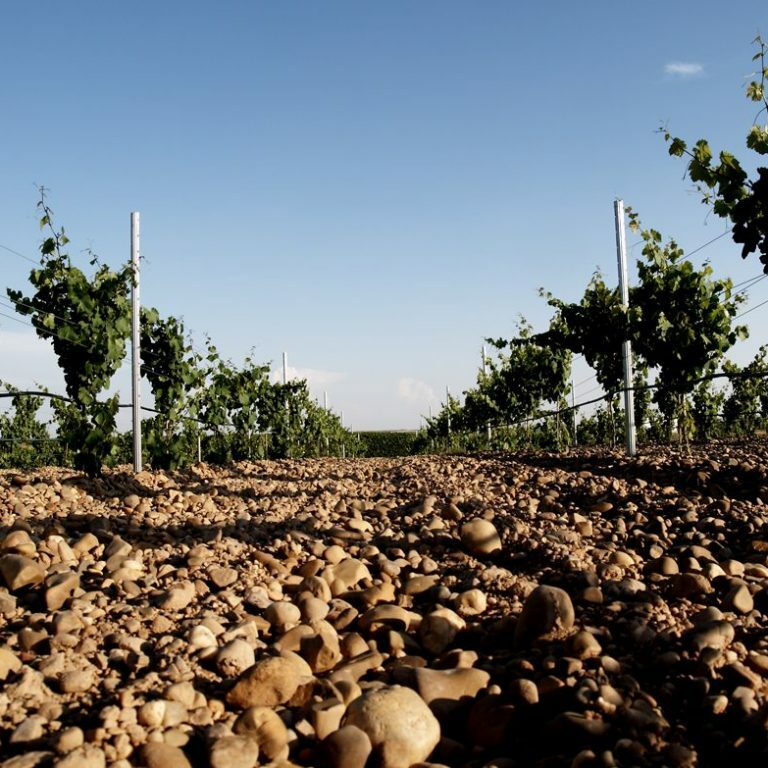 The modernization of viticulture with the help of European aid and state-of-the art technologies to restructure vineyards has rejuvenated the Rueda wine region. Since 2001, the vineyard plantings have steadily grown to nearly double the area (from 6,806 hectares to 13,500 hectares). Rueda is a fairly young appellation, with a limited number of producers, but it has seen rapid growth in popularity over the past decade. 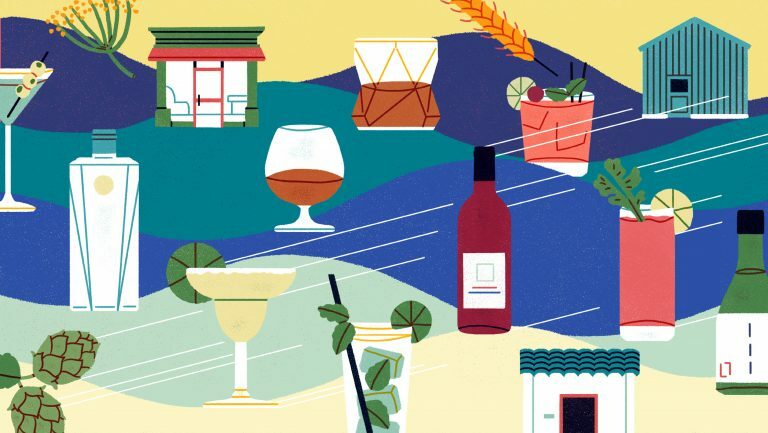 A majority of large Spanish wine groups are now represented in the region, and the DO’s commercial success continues to attract new investors. 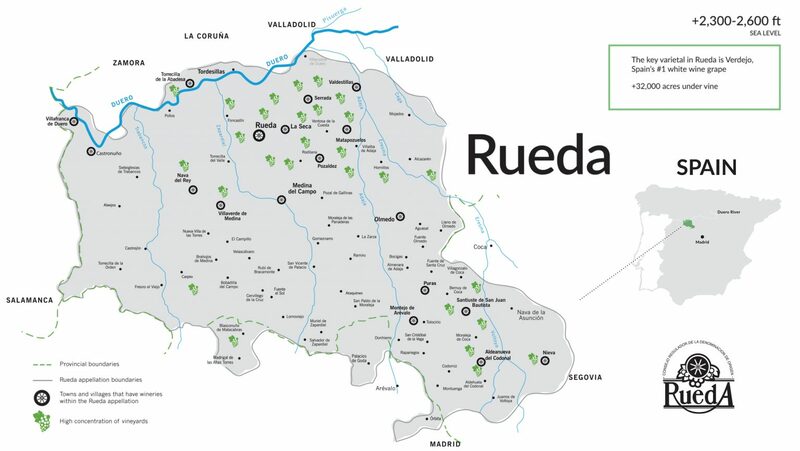 Rueda accounts for approximately 40 percent of the market share of Spain’s white wine production with DO status, and it ranks third, behind Rioja and Ribera del Duero, for total DO wine production. 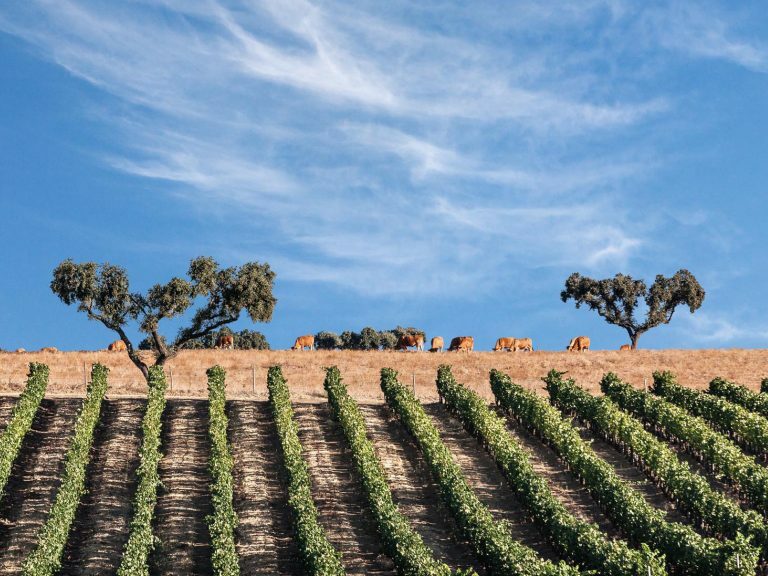 Decades after its 1970s renaissance, Rueda is starting to see a changing of the guard from an older generation of winemakers to a younger one. Organic viticulture and sustainable agriculture, along with an inherent desire to protect the land for the future, remain constants. 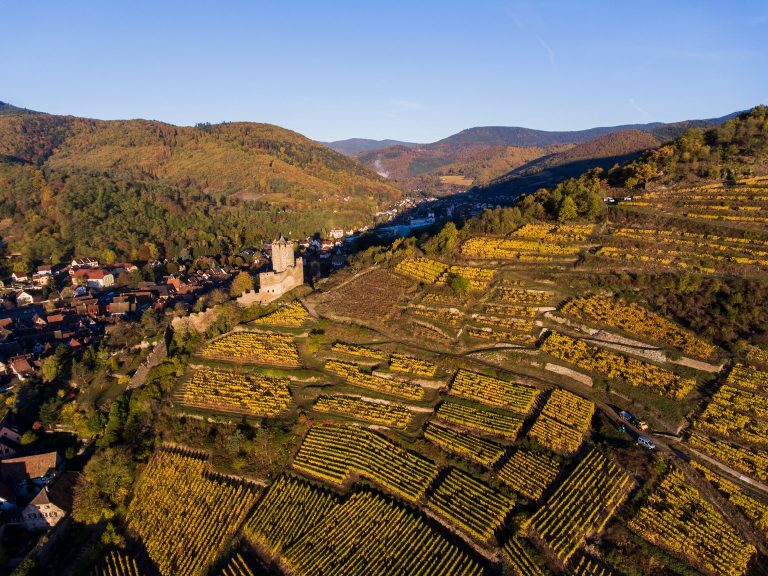 The region is seeing new generations taking over from the parents who mentored them, as well as the advent of winemakers from other regions and countries. Most of Rueda’s wines are fermented in stainless steel and remain unoaked, but contemporary winemakers continue to push the boundaries of the region’s wine styles through experimental winemaking techniques. Some are employing natural yeasts or cold-fermentation methods, while others are fermenting wines in different-sized oak barrels or using egg-shaped concrete fermenters. Verdejo is being used in sweet and sparkling wines with varying degrees of lees aging. And at least one producer is cultivating a small amount of Malcorta and making wine from this rare and delicate Verdejo clone that had almost become extinct. While many of Rueda’s vineyards have been replanted in the last four decades, the region still possesses a number of old vine parcels, including some pre-phylloxera vines on their own rootstock that are more than 150 years old. Old vineyards like these can be found in the province of Segovia, where vines were protected from phylloxera by the area’s sandy soils. These vines, along with Rueda’s soils and unique climate, can yield naturally low crop levels of high-quality grapes. Some growers are taking genetic material from these old vines and grafting it onto new plantings.